Come join us every night for Karaoke at one of the Best Karaoke locations in Orlando! Come and Get Your Sing On!! We have recently installed "Smoke Eaters" to take care of cigarette smoke. Come in and enjoy the fresher, cleaner air!! 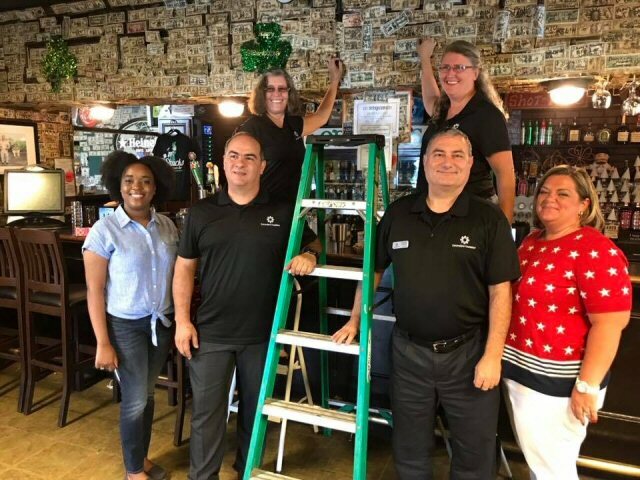 At the suggestion of longtime customer Wally Collins, a Vietnam Veteran, Pub Owner Bob Orlando decided to donate all of the dollar bills on the walls of the pub to the Camaraderie Foundation. The foundation works with Vietnam Veterans and veterans returning from Iraq and Afghanistan who are dealing with PTSD. The foundation is headquartered in Orlando and serves local veterans. A story about the donation was covered by Steve Barrett at WFTV, Channel 9 News and the video can be found Here. It is estimated that over $8000 was donated to the foundation. Below are pictures of the crew from the foundation that came into to "harvest" the dollars from the pub and an after picture of the pub once they were done. Bob Orlando has decided to make this a tradition that will be repeated every three or four years, so come in soon and start posting your names on dollar bills again!! O'Shucks is a Family Friendly establishment, however you must be OVER 21 UNLESS you are accompanied by YOUR parent. Sorry, no Exceptions. O'Shucks Pub & Karaoke Bar is open from 4:00 PM - 2AM daily. Join us for Happy Hour Monday-Friday from 4PM to 7PM. Special events daily, with live Karaoke every night at 9:00 PM. See the Events Calendar for more information. Follow O'Shucks on Facebook by clicking Here. Click on the "Like" button at the top of the page to become a fan. 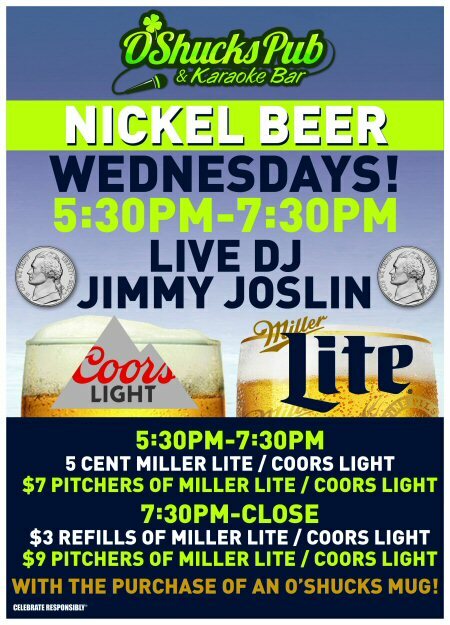 Nickel Beer Night Every Wednesday!! 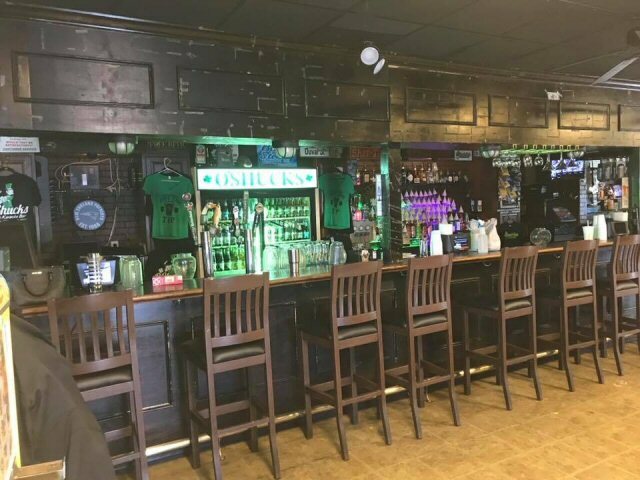 O'Shucks offers a great selection of beers, including Domestic and Imports, Bottles and Drafts and Full Liquor service. O'Shucks Pub & Karaoke Bar is conveniently located on International Drive in Orlando, within minutes of Central Florida's major attractions, including Universal Studios, Walt Disney World, Sea World, and many hotels. 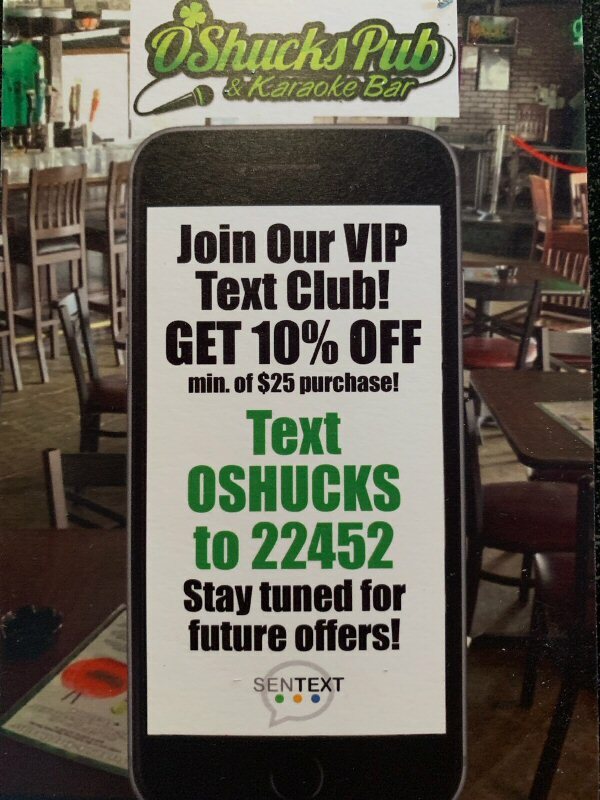 If you have any questions or would like to share your experiences at O'Shucks Pub & Karaoke Bar, feel free to leave us a message! If you'd like to link your website to us, send us an email!